Sept. 26, 2018 (GREENVILLE, S.C.) – Seven out of 10 South Carolinians with disabilities are unemployed, and our state’s unemployment rate for individuals with disabilities is one of the highest in the country — leaving a largely untapped, capable pool of talent for businesses across a diverse range of industries. 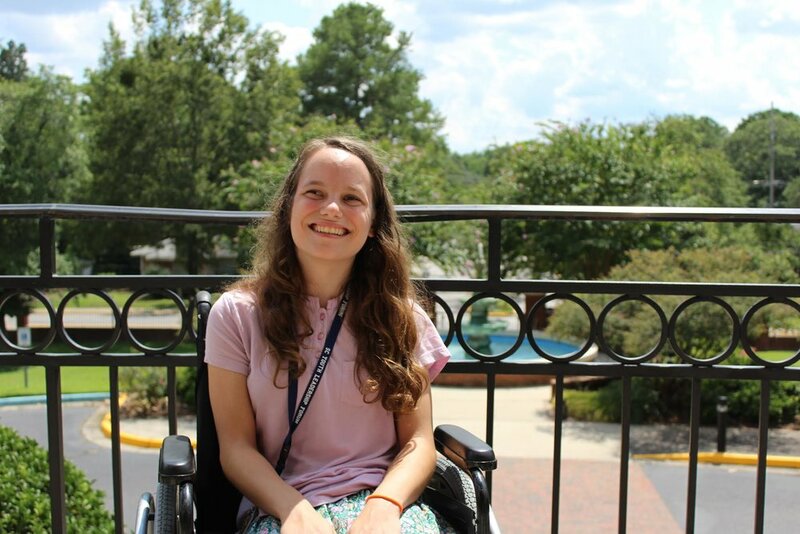 Enter “Hire Me SC,” an outreach campaign to increase the independence of individuals with disabilities and shift the current landscape in South Carolina to one in which employment for every individual, disability or not, is the norm rather than the exception. Learn more at http://www.hiremesc.org. A new website (http://www.hiremesc.org) and billboards in select markets will help extend the campaign’s messages statewide. In addition, social media efforts will allow individuals with disabilities to voice career ambitions, discuss barriers faced, and share successes by using the hashtag #HireMeSC. Individuals with disabilities are also encouraged to tag the handle “@HireMeSC” in their posts on Facebook and Twitter and “@hire_me_sc” in their posts on Instagram. Employers will have an opportunity to learn firsthand about the benefits of creating a diverse and inclusive workforce at the Hire Me SC Employer Summit, SC’s Workforce: Empowering All, on Oct. 9, 2018 at Stone River in Columbia, S.C. from 11:30 a.m. – 2 p.m. The event, which coincides with National Disability Employment Awareness Month, is open to all employers in the state and will connect them to the resources they need for including people with disabilities in their workplace. The Hire Me SC statewide outreach campaign was created thanks to a five-year federal grant secured by Able South Carolina and the South Carolina Disability Employment Coalition (SCDEC), which includes stakeholders ranging from South Carolina employers, to state and private agencies, to individuals with disabilities themselves. Entitled the “South Carolina Employment First Initiative” (SCEFI), the grant is made possible through funding by the Administration for Community Living at the United States Department of Health and Human Services. Able South Carolina was the first and only Center for Independent Living and disability-run organization to be awarded this honor. Prior to September 2016, grants of this type had mainly been awarded to teams within state agencies. “We are so thankful to be awarded this grant and for all our partners in the Hire Me SC rollout. We are overwhelmed by the positive response so far, and I am optimistic that this campaign will continue to change the lives of so many moving forward,” says Tissot. Learn more about Hire Me SC by visiting http://www.hiremesc.org, by calling 800-681-7715, or by e-mailing hiremesc@able-sc.org. Letters may be addressed to Hire Me SC at Able South Carolina, 720 Gracern Road, Suite 106, Columbia, S.C., 29210. People with disabilities can work, want to work, and should be afforded every opportunity to work. Powered by Able South Carolina and the South Carolina Disability Employment Coalition (SCDEC, a coalition formed to eliminate employment barriers for individuals with disabilities), Hire Me SC is a campaign that promotes a culture of inclusion across the state of South Carolina, one in which employment for every individual, disability or not, is the norm rather than the exception. As a Center for Independent Living that is grounded in the disability rights movement and run and operated by a majority of individuals with disabilities, we are united in the belief that community-based, integrated employment for individuals with all types of disabilities should be the only option when it comes to employment. Individuals with disabilities CAN work and should have the freedom, support and opportunity to achieve competitive, integrated employment. We advocate for systems where funding for employment programs shifts away from sheltered workshops and other non-competitive employment and moves toward a system that promotes equal employment opportunities for individuals with disabilities, regardless of the significance of the disability. The South Carolina Disability Employment Coalition (SCDEC) was formed in the fall of 2014 to address employment barriers for individuals with disabilities in South Carolina. SCDEC stakeholders represent South Carolina employers, state and private agencies, and individuals with disabilities. South Carolina is one of six states selected by the Administration for Community Living to receive funding in order to increase employment outcomes for youth with intellectual and developmental disabilities statewide. Employment First emphasizes competitive, integrated employment as the preferred option for individuals with disabilities. The SCEFI is a multifaceted “systems change” enterprise to increase employment outcomes for young adults with intellectual and developmental disabilities (ID/DD), specifically. Led by 13 project partners within the SCDEC, the SCEFI is made possible through funding by the Federal Administration for Community Living and aims to ignite change, ensuring all young adults with ID/DD receive minimum wage or higher, at a comparable rate to co-workers in a job based on individual talent.